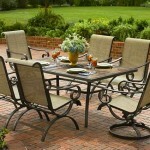 The key to enjoying and decorating your outdoor living spaces is outdoor furniture. The elements make it difficult to purchase outdoor furniture that will last, if you have ever owned patio furniture. Either it mildews, decays, stained, chips, or becomes that dirty no one uses it. 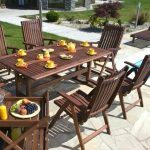 The best outdoor furniture must contend with the elements, the wind, and sun, rain that cause rust, nicks, and scratches. In Ethan Allen, there are many quality, fabulous home furnishings, include outdoor furniture. So let’s check this out! Baumritter Corporation was established by Theodore Baumritter and Nathan Ancell in 1930s. And then, they purchased a bankrupt furniture factory in Beecher Falls. 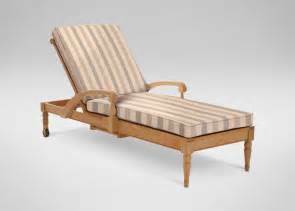 They named it Ethan Allen and began producing a 28-piece line of Early American furnishings. Ethan Allen is a Revolutionary War hero. They have embraced Ethan Allen’s pioneering spirit and shaped the company’s development by make forward-thinking decisions. In 1940s, they introduced the Heirloom furniture collection that popularized bedroom set. In 1950s, they introduced a mid-century modern collection. They published a catalog featuring the entire line of products in 1960s. In 1970s, Ethan Allen headquarters is moved to its own campus in Danbury, Connecticut from New York City. 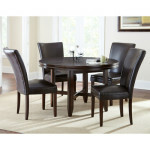 They began to develop furnishing designs that reflect America’s changing styles. Ethan Allen focuses on helping homeowners change their basements and attics into usable family spaces. In the same decade, Ethan Allen opens in Yokohama, Japan and goes international. In 1980s, with the Country French Collection, they expanedd their projections and their interpretation of European style. 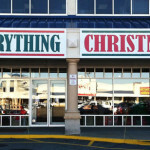 In 1990s, Ethan Allen reinvented their product logo, styles, and Design Center exteriors and interiors. On the New York Stock Exchange, Ethan Allen Interiors Inc. went public. They updated half of their new collections include Avenue, American Impressions, Country Colors, Radius, and Dimensions. In 2000s, Ethanallen.com is launched. At 1010 Third Avenue, their fabulous New York City flagship store opens. They then add hundreds of experienced designers to their retail network and change out 60 percents of their projections to strengthen their product line and make major manufacturing improvements. You can create a great look with your outdoor space, if you are considering Ethan Allen outdoor furniture. The great thing is their outdoor furniture is easy to maintain, livable, and made of robust outdoor fabrics, for more details, you can ask a design pro. In Ethan Allen, their design pros will help you pick the perfect one, even if you are looking for one piece. It is fun to find one piece or many that reflects your personality and style by using their free interior design service. In order to create a look that is a reflection of your personality, a design pro can and will help you, they are ready to listen and give advice. You can start the conversation with a design pro in a Design Center or online. There is also a wide range of styles, designs, materials, colors, and sizes of Ethan Allen outdoor furniture to choose from. There are seating, sideboards, tables, stands, umbrellas, and other outdoor accessories.